Ayatolah Khomenini’s fatwa sentencing Slaman Rushdie to death for writing the ‘blasphemous’ novel The Satanic Verses was perhaps the curtain raiser for the religious extremism, intolerance, and violence that would mark the dying decades of twentieth century and the birth of the next. The ugly, hydra-headed religious fanaticism of every variety continues to threaten the cherished values of enlightenment. 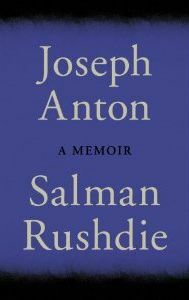 Rushdie’s recently published memoir, Joseph Anton, takes you through the travails of the author during those fatwa years, when Islamist assassins were on the prowl to execute him in order to claim the bounty announced by the Shia cleric and, of course, to reserve a place in heaven where rivers of wine flows non-stop and nubile girls roam around. The book derives its title from the pseudonym Rushdie used during the fatwa years in order not to be identified by the fanatics. The memoir however is not merely a narrative of the ordeals that Rushdie had gone through during those years. 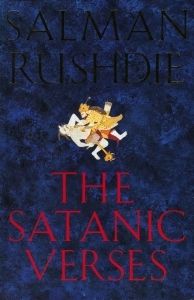 The book provides a Rushdie enthusiast or a bibliophile a wealth of interesting materials on what led to the writing of Rushdie’s literary creations, including The Satanic Verses. What we want to highlight here however is the book’s unequivocal advocacy of secularism, modernity, and rationality as opposed to religious bigotry and intolerance. Rushdie finds the origin of Islam fascinating because, unlike many other religions, ‘it was an event inside history’, and hence “it was obviously influenced by the events and pressures and ideas of the time of its creation; that to historicise the story, to try to understand how a great ideas was shaped by those forces, was the only possible approach to the subject”. Undoubtedly, this would be the stand of any right thinking person, though not of an Islamist, who recites Quran as the word of god and hence considers it blasphemous to read it rationally. “Mecca was prosperous….At the gates to the city stood temples to three goddesses, al-Lat, al-manat and al-Uzza. Winged goddesses, like exalted birds. Or angels. Each time the trading caravans from which the city gained its wealth left the city gates, or came back through them, they paused at one of the temples and made an offering. Or, to use modern language: paid a tax. The wealthiest families in Mecca controlled the temples and muchof their wealth came from these ‘offerings’. The winged goddesses were at the heart of the economy of the new city, of the urban civilisation that was coming into being. “In the building known as the Cube, or Ka’aba, in the centre of town there were idols of hundreds of gods. One of these statues, by no means the most popular, represented a deity called al-Lah, meaning the god, just as al-Lat was the goddess. Al-Lah was unusual in that he didn’t specialize, he wasn’t a rain god or a wealth god or a war god or a love god, he was just, vaguely, an everything god. It may be that this failure to specialize explained his relative unpopularity. People making offering to gods usually did so for specific reasons, the health of a child, the future of a business enterprise, a drought, a quarrel, a romance. There preferred gods who were experts in their field to this non-specific all-rounder of a deity. However, al-Lah was about to become more popular than any pagan deity had ever been. “The man who would pluck al-Lah from near-obscurity and become his Prophet, transforming him into the equal, or at least equivalent, of the Old Testament God I Am and the New Testament’s Three-in-One, was Muhammad Ibn Abdullah of the Banu Hashim family…. During the days following Ayatolah Khomeni’s fatwa, a number of writers came to the defence of Rushdie. The South African writer Paul Trewhela was one among them. Rushdie says, Trewhela defended him describing “the Islamist campaign as a ‘bursting forth of mass popular irrationalism’, arguing that “it was ‘the novel’s secularizing tendency that was at issue…its intention to ‘discuss Muhammad as if he were human’... and he argued for a robust secularist response to the religious attack” (Page 125). “Among the subjects the play did not explore were: religion as political repression and as international terrorism; the need for blasphemy (the writers of the French Enlightenment had deliberately used blasphemy as a weapon, refusing to accept the power of the Church to set limiting points on thought); religion as the enemy of the intellect.” (Page 177). Rushdie says these were the themes he might have treated had he written the play! Cultural relativism is the favorite stance of religious apologists (and post-modernists as well). This has been used to justify every atrocities committed against the oppressed and especially against religion-based atrocities against women – be it burning of women in the pyre of their deceased husbands (sati), mutilation of girls, the practice of purdah, child marriage, and what not. “A new word had been created to help the blind remain blind: Islamophobia. To criticize the militant stridency of this religion in its contemporary incarnation was to be a bigot. A phobic person was extreme and irrational in his views, and so the fault lay with such persons and not with the belief system that boasted over one billion followers worldwide. One billion believers could not be wrong, therefore the critics must be the ones foaming at the mouth. When did it become irrational to dislike religion, any religion, even to dislike it vehemently? When did reason get redescribed as unreason? When were the fairy stories of the superstitious placed above criticism, beyond satire? A religion was not a race. It was an idea, and ideas stood (or fell) because they were strong enough (or too weak) to withstand criticism, not because they were shielded from it. Strong ideas welcomed dissent…. “It was Islam that had changed, not people like himself, it was Islam that had become phobic of a very wide range of ideas, behaviours and things. In those years and in the years that followed, Islamic voices in this or that part of the world – Algeria, Pakistan, Afghanistan – anathematized theatre, film and music, and musicians and performers were mutilated and killed. Representational art was evil, and so the ancient Buddhist statues at Bamiyan were destroyed by the Taliban. “‘Islamophobia’ was an addition to the vocabulary of Humpty Dumpty Newspeak. It took the language of analysis, reason and dispute, and stood it on its head.